HomeOpinionsUganda’s education: is it worth it? Among the fastest growing infrastructure in the country over the last 20 years has been that of schools. Everywhere, especially in Kampala, there are schools of all types, all grades of quality and all names. Schools are among the leading advertisers in the country, especially on television. Among the largest expenditures and greatest headaches by families in Uganda today is school fees, from nursery school to university. Uganda has one of the most competitive education systems in East Africa and the Great Lakes region. It attracts thousands of students from Tanzania, Kenya, Burundi, South Sudan, Somalia, the Democratic Republic of Congo and Rwanda. Campuses like Makerere University and Kampala International University, teeming with so many students, now resemble small towns. Services from the rental of graduation gowns, to ID photo booths, photocopying services, food services, hostels, transport companies and stationery shops have all sprung up our main universities. Education is big business and a national obsession. 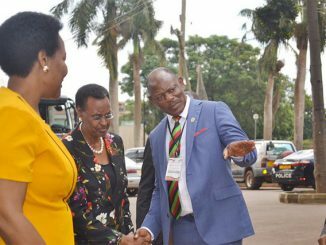 Every year, the publication of the results of national examinations set by the Uganda National Examinations Board (UNEB) are guaranteed front page news for newspapers and lead items in TV and radio news bulletins. The best of these candidates at S.6 will earn an A and become the AAAA stars of the UNEB exams we see and read about every year on the front pages of our newspapers and on TV. They are shown hugging their parents, teachers and guardians and often recount how it was that they topped the country, thank the teachers and parents responsible for their success, thank God to, and usually state what they would like to be in the future. Within a week, the newspapers have moved on to something else and the one-week of fame comes to an end. However, in this same Uganda, we see deteriorating infrastructure, rising youth unemployment, an in flood of Chinese-made goods that are steadily taking the few Ugandan manufacturers out of business and increasing Uganda’s foreign trade deficit. What never crosses our minds as a country is to ask the question and make the connection: if Uganda has this competitive education system and regularly produces brilliant students, why is almost none of it reflected in the national economy and public infrastructure? Why as this very competitive education system not had much effect on the country’s economy and status as an indebted African country? Why does Uganda continue to import five times the goods it exports? What Uganda has, then, is an education system that is competitive, is heavily invested in, is good enough to attract so many students from neighbouring countries, but it is still an education system that is largely irrelevant to the requirements of the 21st Century. In terms of where UNEB is in the first decade of the 21st Century, it is like a company still using the old telex in 2017. They might be good quality telex machines and whole shops in Kampala sell these machines, their spare parts and the rolls of paper onto which telexes are printed, but at the end of the day telexes are still means of communication for the 1960s to the 1980s, completely irrelevant to the technology, culture and needs of the 21st Century. One of the problems with our grammar school education system is that it is still based on knowing basic, static information and knowledge. The syllabus and textbook are still the main documents on which classroom instruction, homework, coursework and exams are based. The successful student is the one who follows closely the format and answers correctly the questions and laboratory experiments put before him or her. That stable, fixed world of set-piece exams was invaded in 1995 when the Internet arrived in Uganda. 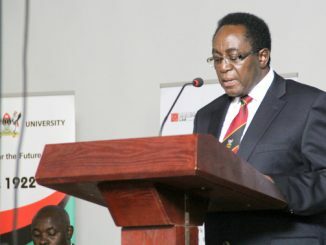 At first, most Ugandans were not aware of it and it seemed like a networked computer system for computer schools along Nkrumah Road and George Street in Kampala and one or two newspapers. Then in 1996, when Hotmail started making its presence felt, this email service, based on the Internet and therefore accessible anywhere in the world the user was in, it became the first experience of the Internet for most Ugandans. The country, disorganized by years of war and a breakdown of its infrastructure, had few streets with names and plot numbers, most Ugandans could not afford personal post office boxes and in the struggle for employment and business opportunities, email was now their first real means of important contact, even more than the mobile phone that was still two years from going mass market in 1998. In offices in 1998, email and the Internet started being installed and then the Internet really took off. However over the last 18 years since the internet first arrived in Uganda, we have not seen or heard much that Uganda has produced in terms of software, digital content or digital devices. Many website design and hosting companies have been started by Ugandans and hundreds of Internet cafes can now be found in much of the country, usually packed to capacity for most of the day. To a large extent, while the Internet (like the mobile phone) has had the effect of making possible or speeding up inter-personal and business communication, it has not had a transformative effect on Uganda. One still needs to know “someone” in a government ministry or a private company to get a job or tender. Hardly any mass email service has been created and adopted by Ugandans with a localized Ugandan identity and most still use Hotmail, Yahoo mail and now Gmail. The Internet, to most Ugandans, is primarily a vehicle by which we receive and send email, check on news, fill in online forms, download songs and videos and over the last five years, keep in touch with friends via the two main social media networks Facebook and Twitter. This alone shows that the country has still not come up to speed with the impact of the digital revolution. In turn, this shows that the traditional education system has not yet been upgraded and transformed to fit the demands of the high-speed 21st Century of constantly changing technology and huge amounts of information produced every day. So let us say the typical UNEB history or geography exam paper requires that the candidate answer four or six questions. But even if one got four As from answering four questions per paper, what are four questions on four topics in today’s era of abundant, rapidly expanding and constantly changing information on the Internet? When we look at it that way, we can see how even the best of the best among our students, the AAAA student, is still far from ready for the world on the basis of their exam results. The old Bunsen burner and the biology dissection kits, even for the science subjects at A’Level look so pitiful when one sees the latest in technology being used in the United States and Japan or Europe to carry out operations on patients, the software to study rocks and other geographical features and study mathematical models. Where Ugandan schools have introduced computer classes, it is much the same story. Computer theory, from the early history of the computer to the difference between floppy disks and hard disks and how to create a Microsoft Word document, save and retrieve files are the main topics. It is similar to the old 1980s computer lessons that where popular in Uganda in the late 1980s, teaching DOS, cramming instructions (Shift+F7 to save what one has typed, for example) and basic data entry. All this seemed complicated and cutting edge up to the mid 1990s but today looks to out-of-date. The Ugandan education system, therefore, still bears a 70 percent resemblance to the world of the 1980s and 30 percent is like the world of the early 1990s. It does not meet the requirements of the world in 2017. This is particularly unfortunate, considering how many parents and guardians are struggling and sacrificing so much every day to pay school fees, buy school requirements and help their children with homework — most of this effort largely futile, as futile as trying to master how a Telex machine works or a college of secretarial studies in Kampala teaching students the workings of a typewriter in 2017. The purpose of this article is to give an overview of where Uganda stands in the world today and why much of the effort being put in by parents and their children as things stand is not worth the money and time they are putting in education. Thousands of parents have recently paid school fees for first term and it has led many families in a financial crisis. The financial burden of paying today’s rather high school fees should be enough for parents to seriously start asking if they are not squandering their hard-earned income in an education that, as we can now see, still produces clerks without much chance in today’s dynamic world. A serious national dialogue must start right away. 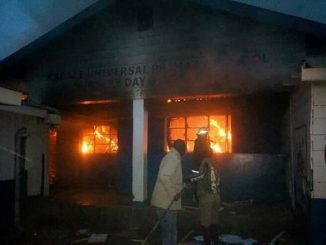 If the opposition politicians were to stage demonstrations and action, a “walk to work” on a radical overhaul of Uganda’s static and outdated education system would strike a deep chord with Ugandans and be most important.